We’ll admit it, we’re hooked on all those “fix-up” shows about home remodeling. It’s fascinating to see the possibilities available to homeowners interested in renovating their houses or buying an outdated property that transforms into a cozy home with contemporary fixtures and usable space. 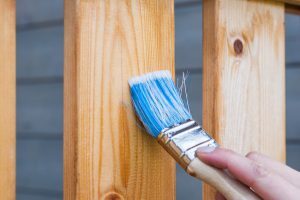 We know these shows are edited to enhance the drama and fit in the commercials, so you don’t always see what happens to the homeowner’s belongings in the midst of all the hammering and painting. We like to think we have a good idea. Room to breathe. If you’re staying at home during the remodel, it will temporarily limit your usable space. Over time, your family won’t appreciate moving around boxes or shifting items crowding one room to get to the things they need. While you haven’t purchased more furniture or objects, your home will feel congested during renovations if you don’t remove what you don’t need at the moment. Plans change. You may plan to turn around a home remodel in one to two months, but sometimes events get in the way. A room may need more work, you have to get a certain kind of permit. If one month turns to three or more, having your extra property in self-storage alleviates the headache of living in a crowded house for a longer time than anticipated. Something can break. Accidents happen. You might bump into a table crowded in a room and topple a lamp or a precious object, or maybe paint splatters on your sofa because the dropcloth wasn’t properly affixed. Why risk damaging your belongings by keeping them in a renovation zone? It will only cost you more money to replace what you lose. Self-storage provides homeowners with the right solution for safekeeping during renovation projects. Don’t sacrifice your home space when it becomes a premium – keep your belongings safe and your mind and usable rooms clear. You can learn more about self-storage in Norfolk by contacting us today.